Product prices and availability are accurate as of 2019-04-17 16:01:45 EDT and are subject to change. Any price and availability information displayed on http://www.amazon.com/ at the time of purchase will apply to the purchase of this product. The Optimus 10 in. 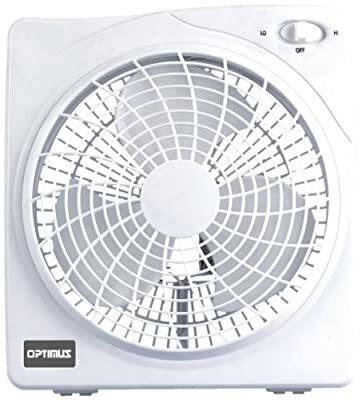 Box Fan is perfect for use as a personal cooling device. Take it to work and leave it on the floor for instant cooling action. There are 3 speed settings for whatever your mood.